Star trace has developed disc type cost effective oil skimmers for removing floating tramp oil from machine tool coolant tanks. 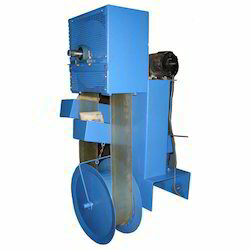 The disc driven by double reduction worm geared motor and the disc is partially submerged in the soluble coolant. As it rotates, the disc picks up tramp oil from the coolant surface. Belt Oil Skimmer removes tramp oils from coolant tanks, CNC machines, part washers etc. Our clients can avail from us the outstanding quality of Oil Skimmer at a pocket-friendly price. 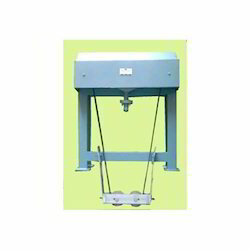 Laboratory Oil Skimmer:The Laboratory Oil skimmer makes use of the differences in specific gravity and surface tension between oil and water. These physical characteristics allow the belt to attract oil and other hydrocarbon liquids from the surface of the fluid. Laboratory Oil Skimmer makes use of the differences in specific gravity and surface tension between oil and water. These physical characteristics allow the belt to attract oil and other hydrocarbon liquids from the surface of the fluid. - Most inexpensive way to remove oil from water. We manufacture floating suction skimmers which are designed for each specific tank. They are maintenance free and can be fitted on tanks with minimum modifications. They can be fitted in conventional fixed roof storage tanks, external floating roof tanks and internal floating roof tanks. They are durable as well as robust in design and also cost effective. Tramp oils and other hydrocarbon contaminants have a lower specific gravity than water. This causes the tramp oils to float on the surface of the aqueous solution or coolant. Udly Engineers design Oil Skimmer provides an effective means for removing tramp oil from process liquid surfaces in either a single or dual tube mode. We provide our client with Oil Skimmers for Tube type.